The grapes for this wine come partly from family-owned vineyards in Serraluga d’Alba (Ornato and Colombaro), in Sinio, Diano d’Alba and Grinzane Cavour and partly from vineyards belonging to established growers. 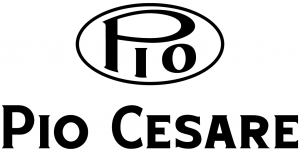 The growers have been working with Pio Cesare for generations and work according to their direction and with strict quality controls. The grapes are hand-picked and gently pressed and fermented at 25 to 26°C. Vinification takes place in stainless steel tanks, with skin contact for 15 days. The wine is then aged in medium-toasted French oak barriques (25%) and 20-50 hectolitre casks (75%) for 11 months. Aromas of blackberries, plums and ripe berry fruit with a touch of spice and tobacco. On the palate this wine is supple and juicy with a great fruit and complexity. Serve with pork chops, braised lamb dishes, mushroom risotto, pizza or pasta with sausage, meat balls.